Applications are now being accepted for the 2012 Writers Retreat for Emerging LGBT Voices held in California this summer. Here are more details on why you should consider submitting. The Lambda Literary Foundation is proud to announce details for the 2012 Writers Retreat for Emerging LGBT Voices, the only queer writers residency in the world. The Retreat will be held July 28 – August 4, 2012 on the campus of the American Jewish University (AJU) in Los Angeles. 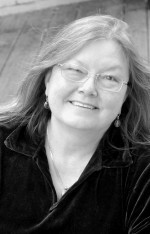 Faculty include Dorothy Allison (pictured) teaching the Fiction workshop, Cris Beam teaching the Nonfiction workshop, Jewelle Gomez teaching the Poetry workshop, and Alex Sanchez teaching LLF’s first ever workshop in Young Adult Fiction. The Writers Retreat for Emerging LGBT Voices was established in 2007 as the newest program of the Lambda Literary Foundation and is the first of its kind ever offered to LGBT writers: a one-week intensive immersion in fiction, nonfiction, or poetry. The retreat is an unparalleled opportunity to learn from the very best writers in the LGBT community. Applicants of the Retreat submit twenty pages of fiction/nonfiction or 10 pages of poetry that are evaluated for craft, creativity and originality. Eight to twelve students per workshop are accepted into the competitive program where they spend the week working on their manuscripts and attending lectures by publishing industry professionals. Ability to pay is in no way part of the decision-making process and scholarships are available. The LLF Writers Retreat Fellows have gone on to publish an impressive array of works.